Barnsley assistant manager Andreas Winkler insists the Tykes have done their homework on Sunderland and are ready for the challenge. Daniel Stendel's side travel to Wearside on Tuesday evening in what is a mouthwatering top-of-the-table clash in League One. A win for Sunderland and they open up a five-point gap on the visitors, who currently lie in third, and continue to keep tabs on league leaders Portsmouth. 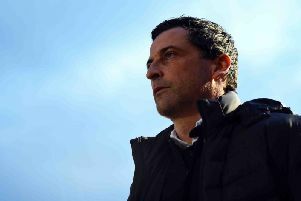 However a defeat for Jack Ross' men and Barnsley will leapfrog their hosts into the automatic promotion places and end the Black Cats' 13-match unbeaten run. Despite the clash having a lot at stake, Winkler is excited to see his side play at the Stadium of Light and believes their preparations can help them earn a big result. "This is probably the toughest few weeks of the season," said the German. "lots of games and we are playing some teams who are right up there with us. “Is this (tomorrow) the biggest match? I don’t know. Peterborough away was going to be our toughest test also. “Maybe our players perform and focus better in the bigger matches. They’ll need to do so again against Sunderland. "It’s a massive stadium and we are looking forward to the challenge. “Me and the gaffer have seen Sunderland, we’ve been to the Stadium of Light. We feel like we have prepared well. I know how much the players are looking forward to tomorrow. " Meanwhile, Winkler confirmed winger Ryan Hedges will miss the club's next four matches after sustaining a broken toe in Saturday's 1-1 draw with Doncaster Rovers. The Wales international had featured in eight of Barnsley's previous nine league fixtures. Cauley Woodrow, who has netted two goals in his last three games after the opening 15 games, is likely to get the nod in his place.